Ralph Russell, the legendary British scholar of Urdu literature, whose tireless efforts to explore the Byzantine layers of Urdu will always serve as a reference point for global Urdu-walas, once summed up the eternal dilemma of achieving a perfect translation of Urdu literature into English. He pointed out that the work of Indian and Pakistani translators suffered from a lack of command in either language. “The English-knowing products of what in India and Pakistan are generally called ‘convent schools’ have acquired their nearly (but not quite) perfect English at the cost of losing full command of their mother tongue,” he wrote in 1996. This is not to say that translations of Urdu literature have not been accomplished. In fact, there are many 20th century writers whose works have been translated by competent men and women. Key examples are the translations of the short stories of Saadat Hasan Manto and Ismat Chughtai. Their poignant and non-conformist writings have found a wide readership in predominantly English-reading Indian middle classes and western readers attempting to understand the nuances of South Asia’s literary output. The contribution of The Annual of Urdu Studies – edited by Muhammad Umar Memon and published every year from the US – has been immense in this regard. Some writers and poets whose works have been translated include Abdullah Hussein, Patras Bukhari, Shamsur Rahman Faruqi, Rajinder Singh Bedi, Ghulam Abbas, Hajra Masroor, Premchand, Qudratullah Shahab, Intizar whose contribution and devotion to the translation of Urdu literature remains unparalleled and who has provided fine examples of literary translations, leaving out no major contemporary Urdu writer. His academic journal, The Annual of Urdu Studies, continues to publish translated works from Urdu every year. Literary magazines are a great introduction to young and fresh voices in Urdu. One can observe a constant process of experimentation in language and expression. Short story writer Ali Akbar Natiq, one of Urdu’s most important new voices, and Mohammad Khalid Toor, who is critical newly- rediscovered voice, have been introduced to readers by Urdu literary magazines. Despite these efforts, translators have yet to negotiate and overcome the real challenge in capturing the amazing diversity and glorious eras of Urdu literature, high Sindhi and Punjabi prose and poetry and the subtleties of Pashto literature. Both medieval and modern – such are the labels we struggle with – literary writing in these languages is far less accessible and known in the global arena than it should be. Another exception is the recent rendering into English of the two perhaps most read dastans (stories) in Urdu literature. Uber-talented writer and translator Musharraf Ali Farooqi has taken up the daunting task of translating Tilism-e-Hoshruba – written by Muhammad Husain Jah, with its first volume published in 1883 – and Dastan-e-Amir Hamza, which was first commissioned as an illustrated manuscript by Mughal Emperor Akbar in 1562. In the realm of poetry, Ghalib has been translated into English by many, but great ghazals and poems by other poets who were either his contemporaries or wrote a few decades before and after him – like Sauda, Mir Taqi Mir, Ibrahim Zauq – are becoming inaccessible. The story of Urdu is indeed tragic. The language has few owners in both India and Pakistan. As a result, most Urdu literature from the 19th century, or earlier, has succumbed to the vicissitudes of the subcontinent’s politics. In post 1947 India, Urdu has become communalised, rather ghetto-ised, synonymous exclusively with Muslims and Pakistan. The vast majority living in Delhi and Lucknow – once the epicentres of Urdu literature – cannot even read the language, let alone identify with the great Urdu poets and writers that both cities have produced. No efforts are being made to render their works in other local languages as well as in English — an exercise that may establish their rightful place on the literary map. Compared to this, other Indian languages – like, for instance Bangla, Tamil and Malyalam have enjoyed a revival, with two-way translations of great literature. In Pakistan, Urdu as a language faces yet another challenge. For decades it has been viewed as the language of the centre, the only national language of the ‘Islamic Republic’, even though it is the mother tongue of about 10 per cent of the country’s population. Its official status has allowed literature in Urdu to gain preeminence, but at the cost of other local languages and regional identities, thereby becoming a source of permanent anxiety and discontent among the proponents of languages like Sindhi, Seraiki, Pashto, Balochi, Punjabi and Brahvi. 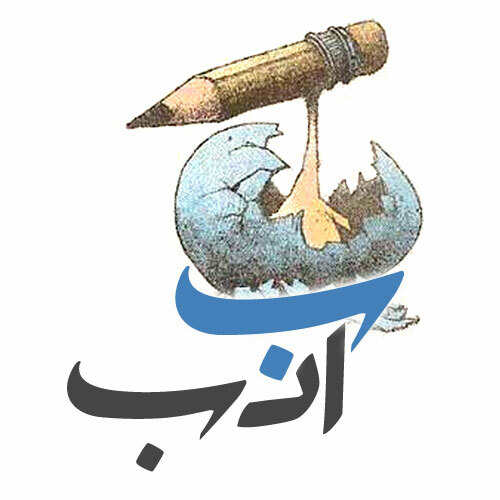 The continuous tug of war between national and regional languages has meant that a huge volume of Urdu literature from past decades and even centuries does not get translated into English as it requires massive institutional effort – given its magnitude and the intricacy of its diction – which cannot be put together without creating linguistic controversies. Also, with English becoming a language that can aid employment and upward mobility, attention to Urdu and even proficiency in the language are waning. The downside of this is that Urdu literature has become increasingly inaccessible to the urban middle and elite sections of society. Take, for instance, the case of the Urdu novel, short story, essay and travelogue — rich in variety and quality, but generally unknown to those who have the money and time to buy and read literary works. For instance, the works of two great Urdu writers illustrate that because they are not writing in English, their literary expertise doesn’t attract the international hype that later works in English on similar themes have sought. Qurratulain Hyder dealt with the same subject in her novel Gardish-e-Rang-e-Chaman that British writer William Dalrymple explored in his White Mughals a decade later. Arguably, the literary merit of her novel is far higher than that of Dalrymple’s. But when it came to local, regional and international reception, the latter did far better than the former could ever manage. Hyder’s other great novels – Aag ka Darya and Akhir-e-Shab Ke Hamsafar – rival the globally acclaimed Nobel- laureate labels but have not been rendered into quality translations. Daniyal Mueenuddin’s brilliant short stories, In Other Rooms, Other Wonders, have been noted for their lyrical quality and are acknowledged globally. But it was decades ago that Ahmad Nadeem Qasmi, the master of Urdu literature in the latter half of the 20th century, covered most of the same themes that Mueenuddin now does. Qasmi captured the workings of rural Punjabi society in his sparse yet poetic style. Both Mueenuddin and his readers could have benefited from Qasmi’s stories had they been available in English, if not for anything other than the joy of comparing the writing. So what is being represented as ‘Pakistani literature’ is but a partial phantom of the whole. Except for Mohammed Hanif (his second novel, Our Lady of Alice Bhatti will be out in August 2011) and a few others, most Pakistani writers in English are not conversant with the nodes and traditions of local literature. Some would say that this is not an issue, but my argument is that this lack of familiarity with local literary heritage undermines the work of Pakistani writers in English which ends up demonstrating a degree of ‘foreignness’ when they venture to write about a society whose earlier nuanced and subtle representations they are unaware of. This one is really interesting !